Fuchsia is a British progressive folk rock band formed in 1970. Named after Fuchsia Groan, they released one album before disbanding. Their self titled album was featured as one of Mojo's Forgotten Classics. Formed while a student at Exeter University, and comprised of Michael Day (bass guitar), Michael Gregory (drums, percussion). The trio was soon augmented by Janet Rogers (violin, backing vocals), Madeleine Bland (cello, piano, harmonium, backing vocals) and Vanessa Hall-Smith (violin, backing vocals) so that Durant could explore his musical ideas. Stylistically they drew comparisons to contemporaries, Jade and Comus. From Psychedelia… came together, initially, very slowly. Many elder rock statesmen will often say they have nothing to communicate anymore. But as is evidenced on this new record, when the music came together, it guided the band to new directions and to new ideas. Slowly but surely they evolved. Jotted down half-ideas for drum programming and electronic string sequences soon became fully fledged band arrangements as more musicians became part of the family. 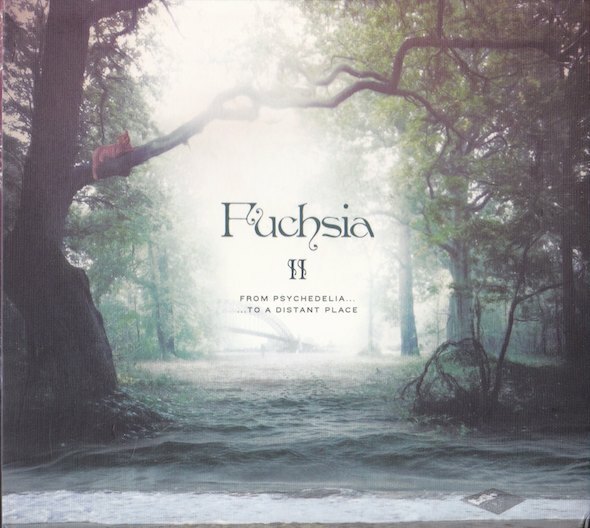 Fuchsia now welcome listeners old and new to (re)join them in celebrating a new chapter in their existence. As with all the best bands, they are fluid, full of motion, purpose and direction. But for too long Fuchsia have lain dormant. From Psychedelia… marks an intriguing return from a truly re-invigorated songwriter.